Check out this amazing set of Sushi Props exclusive to The Manic Moose! It's one of our favorite sets! Part of our Fun Foods Collection - these props include layer upon layer of glitter car stock making each piece truly unique! Sushi Set includes 7 props. 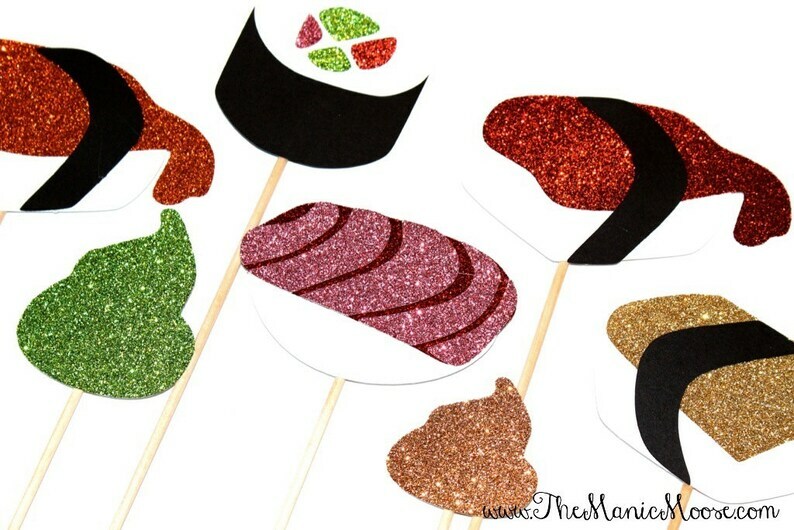 This listing is for 7 sushi props on a stick!